New York writer Dave Rubin wrote that, “[i]f Tim “Too Slim” Langford only played slide guitar, he would slither around most other blues guitarists and take a ferocious bite out of their pride. But as the sole six-string slinger, songwriter and lead vocalist of the power trio Too Slim and the Taildraggers, Langford is a force of nature leaving musical tracks others try to follow”. 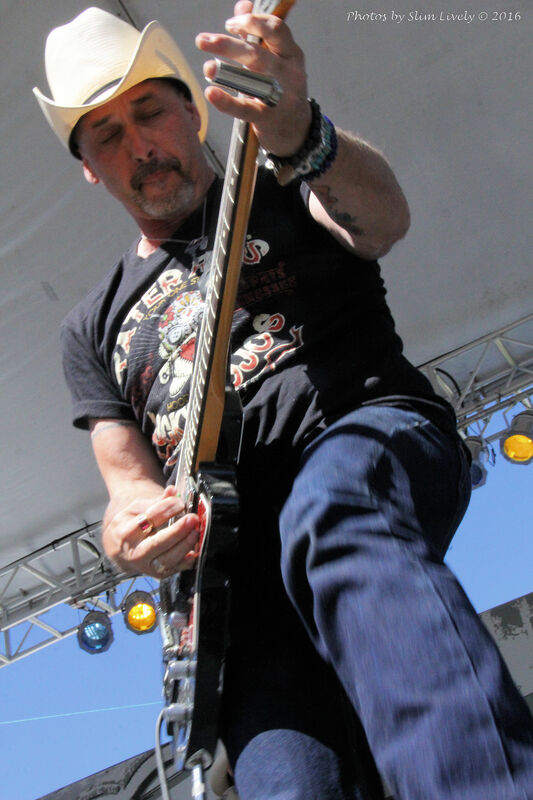 Tim Langford has won multiple individual awards for Best Guitarist, Best Slide Guitarist, and Best Songwriter and the band are in the Hall of Fame in three Northwest blues societies including the Cascade Blues Association. The band’s 2013 release “Blue Heart” reached as high as #3 on the BillBoard Top Blues Album Chart and Shiver,the bands previous release was a 2012 Blues Music Award nominee for “Blues Rock Recording of the Year”. Too Slim and the Taildraggers current rhythm section consists of Nashville bassist Eric “Stretch” Hanson and drummer Jeff “Shakey” Fowlkes (Kid Rock, Robert Bradley’s Blackwater Surprise). Join Too Slim & The Taildraggers as the perform an afternoon show on Sunday, September 3 starting at 3:00 pm at The Birk, 11139 Hwy 202 in Birkenfeld. Advance tickets can be purchased at Tickettomato.com for $15.00. Admission at the door is $20.00.